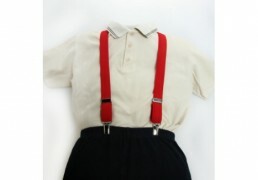 View cart “Boys Bow Tie (Grey)” has been added to your cart. 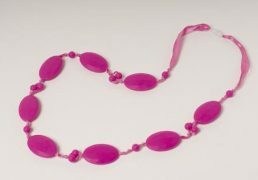 Chewable necklace are used as a teething aid or sensory seeking chew and fidget toy. When used as a teething aid, Mum (or Dad) wears the necklace for baby to chew on. For sensory seeking children, these necklaces are worn by the child themselves (if over 36 months). These necklaces are not only practical, but they look good too with any outfit. These chewing necklaces are made from non-toxic, food grade silicone and are easily washed with soap and warm water. They have a breakaway clasp for added safety and comfort and comply with very rigorous EN71 toys safety standard. 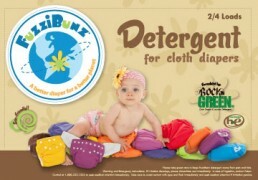 Categories: Chewable Necklaces, Sale, Teething & Tooth Care. Tags: adhd, autism, chew, navy blue, special needs, teething. This chewable necklace is used as a teething aid or sensory seeking chew and fidget toy. When used as a teething aid, Mum (or Dad) wears the necklace for baby to chew on. 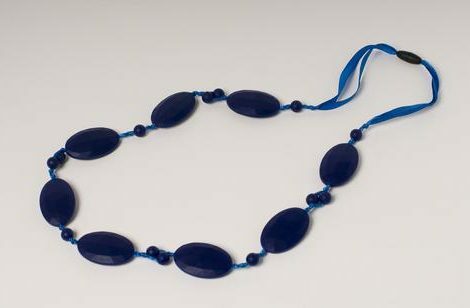 For sensory seeking children, these necklaces are worn by the child themselves (if over 36 months). Our chewing necklaces are made from non-toxic, food grade silicone and are easily washed with soap and warm water. They have a breakaway clasp for added safety and comfort and comply with very rigorous EN71 toys safety standard. Please regularly inspect necklace & pendant, and discard necklace if you see any signs of damage or wear. These chewing necklaces are not toys so never leave a small children unattended with them.